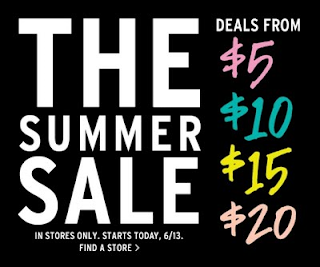 The Gap Canada is having a Summer Sale, which starts today June 13, 2011. The Deals will be as low as $5. WOW. It does not indicate how long the sale is on for, but I would think that items are going to sell out fast. This sale is in stores only.